No more fiddling with spreadsheets (though you can export everything as excel files) and you can also set your accountant up with login details so they can look at your accounts at the same time you are! Oh and did I mention – it calculates your VAT return automatically based on all the transactions in your system? I calculate that this will save me at least 4 hours a week and 1 day a quarter doing VAT returns. FreeAgent voted Best Small Business Accounting Application! FreeAgent has recently been voted Best SME Accounting Software in the Software Satisfaction Awards. Voted by small business customers, the award was decided on overall customer satisfaction levels. To get your 10% discount and get a 30 day free trial so you can see how good it is for yourself, visit the Freeagent site here. UPDATE NO 2: 3rd June 2011: Just completed my first VAT return on FreeAgent in less than 2 hours (it only took this long as I was triple checking everything). Not one problem and I expect my next VAT return to take 30 mins. It honestly used to take approx 4-6 hours. Wow. UPDATE NO 3: August 2011. Forgot to update this recently when I had to contact FreeAgent with a few quick queries. I spent a while on the phone chatting to their brilliant staff who talked me through putting my old accounts into FreeAgent ready for next year. Frankly they were amazingly patient with me and actually helped me to understand my accounts better than before. Still thrilled I found FreeAgent. I wish all companies could care this much. UPDATE NO 4: October 2012. Still loving Freeagent. Loving it so much in fact that I have moved accountants to a new team who understand how it works, and how simple it is for me. VAT returns are quicker than they have ever been and my tax liabilities (although only a rough estimate) are giving me an idea of my tax liability for this year already. UPDATE NO 5: February 2013. Freeagent just added automatic bank feeds to pull statements into the software automatically. Frustratingly my bank is not on the list yet. Eagerly waiting! UPDATE NO 6: September 2013. Freeagent just added automatic bank feeds for my business bank account – yay! Still loving using it! UPDATE NO 7: September 2015. Had a minor query recently. Called their freephone support number, call answered promptly. Spoke to a member of their team who asked me to email the details of my query to her, which I did. Received a full reply later that same day explaining exactly what I needed to know. Thrilled. UPDATE NO 8: July 2016. Still loving Freeagent. Had to contact them about linking my Paypal account to my freeagent account – as usual – all queries answered quickly and the whole problem sorted in less than a few hours. Brilliant stuff. UPDATE NO 10: December 2017. They’ve improved the ‘guess transactions’ when your bank statements automatically get pulled in from the bank. I’ve used it for the first time today and it guessed my insurance correctly. Yes! Less work for me! UPDATE NO 11: March 2018. There is a special offer running until 31 March 2018. If you use the link below and sign up for a years subscription you get 10% OFF AND a £100 Amazon voucher. There’s even an introductory 50% off for your first year! What are you waiting for? 🙂 (it ranges from £85 – £130 depending on your business type) and the Amazon voucher alone will cover that! Also – look them up on facebook – they currently have a 4.7 star approval rating! Thanks very much! 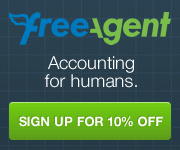 Just signed up for freeagent thanks to your post! Just found your code after googling! Thanks for the updates on freeagent. After deciding between them. Kashflow or Xero you helped me make my mind up! Thanks Colin – I hope you find it cuts down your accounting time as much as it did mine. Wendy. hey, just used your code. 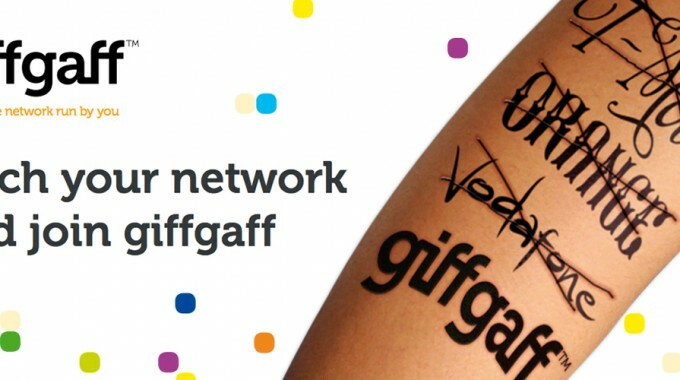 Just used your code, worked a treat. 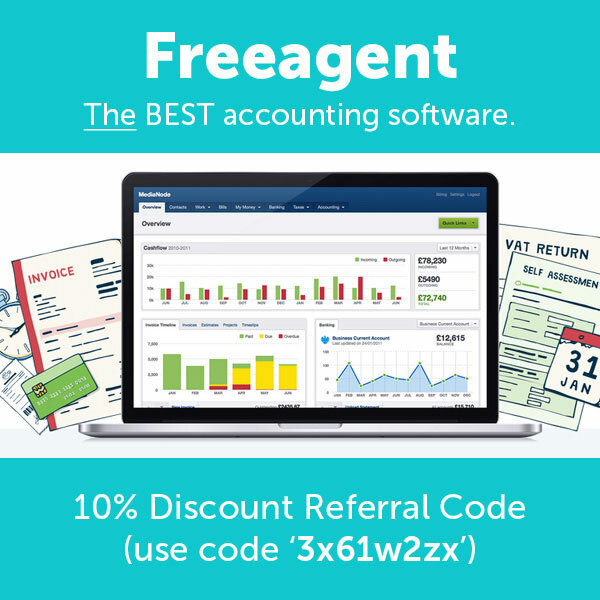 Glad I committed to FreeAgent – there are lots of accountancy software options out there, some are quite a bit cheaper, but none match FreeAgent for all round features, support and ease of use. Cheers. Just wanted to say thanks for the referral code – much appreciated! As previous replies have mentioned you helped me to make my mind up regarding FA. So much easier to use than Xero, Kashflow or anything else for that matter. The referral system is absolutely brilliant so I’m guessing you must be nearly free? I’ve used your referral code today. Thanks very much! Thanks Mo, I’m sure you will find it very useful! 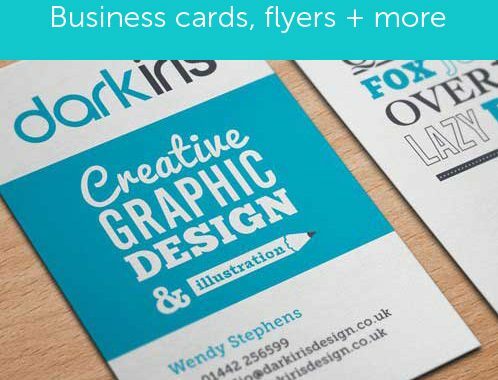 Thanks for the code Wendy it’s good to save a bit extra on the cost and to support fellow Graphic Designers in Hertfordshire. previous post: Wordfence WordPress Plugin Review – 5 stars!